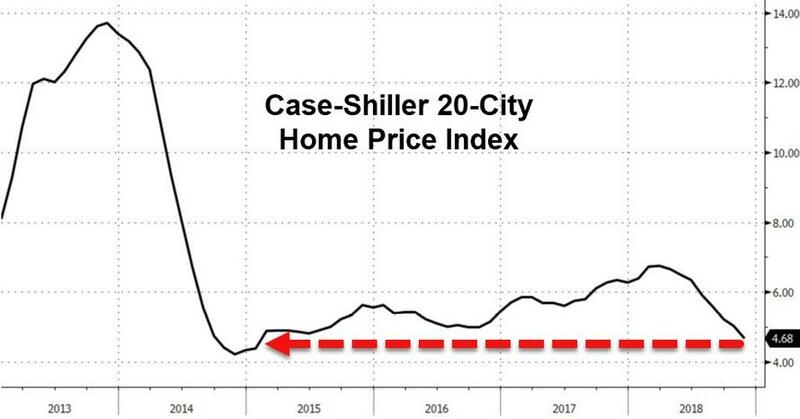 Home prices growth slumps, prices are coming down in many parts of the country and we are seeing this around the world. Trump continues to make trade deals around the world, he just established a deal with the EU, the US will now ship soybeans to be used in biofuel in Europe. Gold is the key, and we can see how the the plan has put everything in motion and the world is moving away form the CB currency. DOJ Whitaker says Mueller’s probe is coming to an end. Nunes drops more bombshells which makes you question everything. Sara Carter wants to know why there are no leaks from the Huber investigation and why he has not interviewed anyone. Trump accepts Pelosi’s invite to do the SOTU. Everything is motion in Venezuela, Bolton let’s it slip that troops might be headed to Venezuela, setup, most likely yes. The question is what is the plan in Venezuela, we look to NK to find the answers. The MSM are now running stories about deep fake videos, projected for what is to come. [DB] tweets out a strange tweet about a dog, reminds me of what [JC] did. 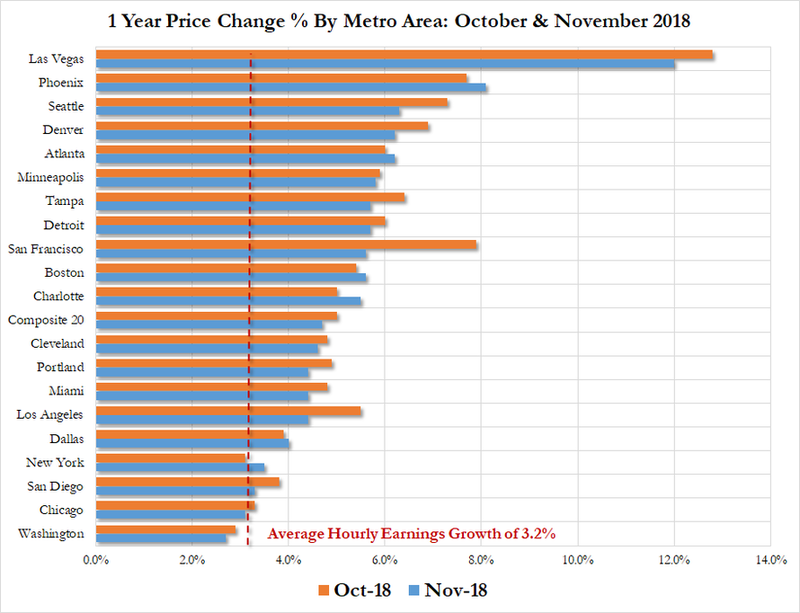 Case-Shiller reports its 20-City Composite price index rose just 4.68% YoY in November (dramatically below the 4.89% expected and the 5.02% October print). All 20 cities in the index showed year-over-year gains, led by a 12 percent increase in Las Vegas and 8.1 percent advance in Phoenix. The weakest gains were in Washington, Chicago, and San Diego. New York also had a subdued increase, at 3.5 percent. The following is a list of the ten most important factors likely to affect gold in 2019. The main economies in Asia (China, Russia, India and Iran) are all turning their backs on the dollar for trade settlement. This will have a profound effect on central bank reserves not just in Asia, but elsewhere as well, with the dollar being sold. Some countries, notably Russia, are buying gold instead. If the mandate given to Robert Mueller was to specifically investigate the sitting president of the United States as an active participant, and subsequent target, for a counterintelligence operation, then DAG Rod Rosenstein -and Mueller- would have to hide that mandate from everyone and anyone. we know is that Attorney General Jeff Session’s appointed former Utah U.S. Attorney John Huber to investigate the allegations stemming regarding the FBI probe into Trump and alleged Russian collusion in March, 2018. However, it’s almost impossible to locate him or find anyone with any idea of what he’s actually doing. For now, Huber appears to be a mystery. For example, revealing the name of Lt. Gen. Michael Flynn and his private phone conversation with former Russian Ambassador Sergey Kislyak, Trump’s private conversations with foreign leaders, the former British Spy Christopher Steele’s unverified dossier, as well as private conversations between Trump and former FBI Director James Comey just to name a few. We’ve even seen leaks that are presumably flat out lies. James Clapper allegedly leaked to CNN the private briefing on the salacious dossier given by Comey to Trump in Jan, 2017, according to information in the House Intelligence Committee’s Russia report. . The latest leak, was the tip off to CNN on the FBI predawn raid at Roger Stone’s home. Session’s appointed Huber to look into abuse of power at the FBI in the Russia Trump investigation and whether “any matters merit the appointment of a special counsel.” The Utah attorney was also appointed to look into issues regarding the Uranium One scandal involving Hillary Clinton and other members of the Obama administration. Huber’s allegedly leading an investigation, I say, because numerous witnesses that should have been interviewed have never been interviewed.Allegedly is also the operative word because DOJ refuses to answer even the most simplest of questions regarding Huber and his investigation. Is this part of hubers team? But… HUBER [ability to prosecute + empanel a grand jury outside ofDC[90%+ voted HRC (2016)], who already began the investigation(s) late last year w/ assigned team of 470 investigators (attorneys) + IG + legal jurisdiction across all 50 states, is not a ‘special counsel’ so therefore nothing is being doneBut… interestingly, if nothing is being done behind the scenes, why are so many FBI & DOJ senior officials being FIRED and/or REMOVED from their respective positions of power? Who is AG? Who must sign off on each removal? DOJ in charge of FBI? What if there’s another prosecutor (outside ofDC) assigned by SESSIONS w/ the same mandate/authority? A federal judge Monday canceled former Trump campaign chief Paul Manafort’s sentencing in his Virginia case. A federal judge Monday canceled former Trump campaign chief Paul Manafort’s sentencing in his Virginia case, which was scheduled for Feb. 8, according to a filing.U.S. District Judge T.S. Ellis wrote that Manafort’s “current dispute” in a separate federal case in Washington, D.C., makes it “prudent and appropriate to delay sentencing in this case.”Mueller’s team had previously aimed to delay Manafort’s sentencing in Virginia until the special counsel determined that he had finished cooperating with special counsel Robert Mueller‘s investigators. According to the DOJ announcement released today three companies: (Wah-Way) Huawei Technologies Co. Ltd., Huawei Device USA Inc. and Skycom Tech Co. Ltd. are charged with bank fraud and conspiracy to commit bank fraud, wire fraud and conspiracy to commit wire fraud, violations of the International Emergency Economic Powers Act (IEEPA) and conspiracy to violate IEEPA, and conspiracy to commit money laundering. Huawei and Huawei USA are charged with conspiracy to obstruct justice related to the grand jury investigation in the Eastern District of New York. Additionally Ms. Meng Wanzhou is charged with bank fraud, wire fraud, and conspiracies to commit bank and wire fraud. The US announced Monday that it was introducing sanctions on Venezuela’s state-owned oil giant PDVSA just a week after recognising the head of the opposition-controlled National Assembly, Juan Guaido, as the South American country’s interim president. John Bolton perhaps inadvertently flashed the contents a yellow notepad he was holding during a White House press briefing to reveal handwritten text “5,000 troops to Colombia,” which was picked up by photographers. The words were seen scribbled behind “Afghanistan – welcome the talks” in apparent notes made while previously discussing White House foreign policy and national security. Prosecutor General Tarek Saab has asked the Supreme Court to ban Venezuela’s self-proclaimed interim president Juan Guaidó from leaving the country and block his assets, local media reported on January 29. Saab stressed that court should start an investigation following the recent series of protests and the appearence of self-declared interim president in the country and the blocking of Venezuelan assets abroad. What if Venezuela is a DS stronghold? The Syrian Kurds, led by the Syrian Democratic Council, are currently in talks with Damascus to reach a political settlement and defend the country from a Turkish invasion. By Trump removing the troops the Kurds had two choices, fight the Turkey or work with Assad, they are choosing to work with Assad, Turkey will then back off. It’s been possible to alter video footage for decades, but doing it took time, highly skilled artists, and a lot of money. Deepfake technology could change the game. As it develops and proliferates, anyone could have the ability to make a convincing fake video, including some people who might seek to “weaponize” it for political or other malicious purposes. We are now seeing more and more of these types of articles explaining how deep fakes work, when we see this happening this means the DS is preparing itself for the release of damaging videos, this is an indicator that we are getting closer, when the DS projects into the future and it these articles are shown on multiple MSM outlets this tells us that its almost time. She was scheduled to attend a function called “An Evening with Justice Ruth Bader Ginsburg” in Los Angeles on Tuesday evening at the Skirball Cultural Center, but the event was “regrettably canceled” because she is still recuperating from her recent surgery. A second engagement on February 6 with her and philanthropist David Rubenstein in New York City was also canceled.